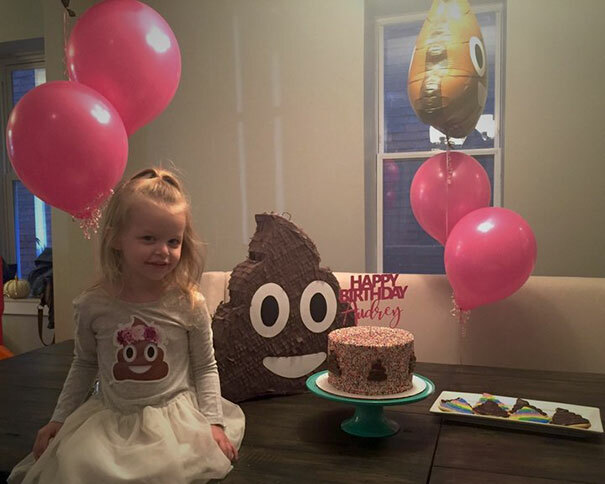 Here are some photos from a poop themed birthday party thrown for a little girl named Audrey. Apparently the theme was not only her choice, but it was non-negotiable. 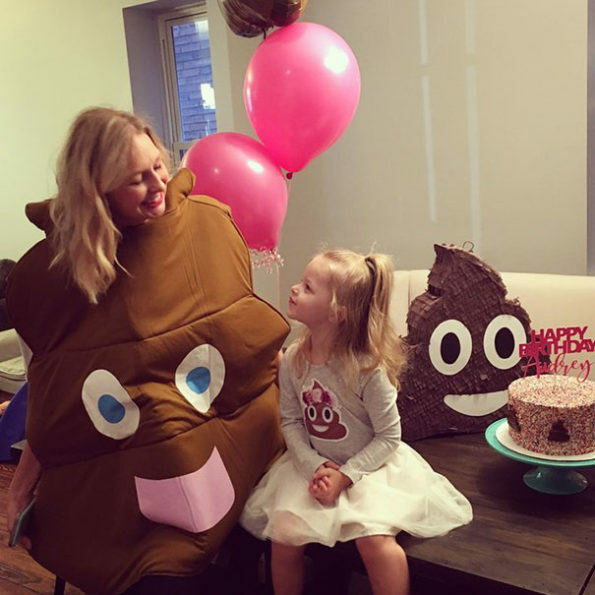 “If it’s not poop themed, I don’t want a party at all!” is how the conversation played out in my head. Her parents got poop balloons and cake, guests played pin the poop on the toilet and hit a poop piñata filled with Tootsie Rolls and Hershey’s Kisses. 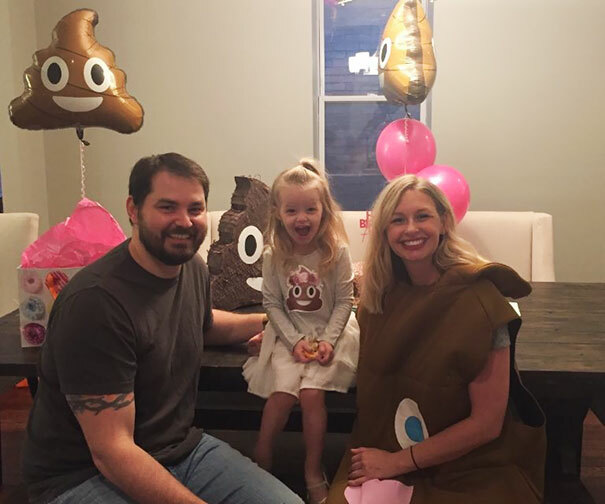 The mom even dressed up in a poop costume! 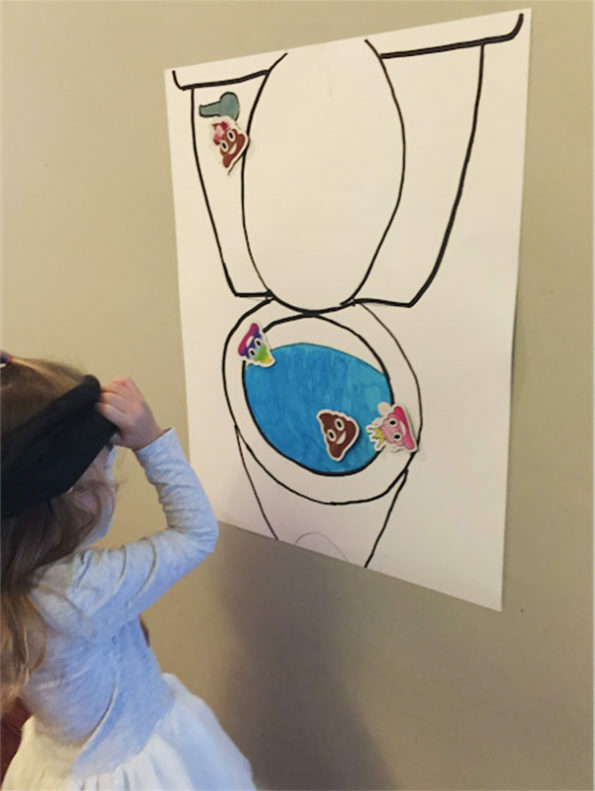 That is some p. serious commitment. 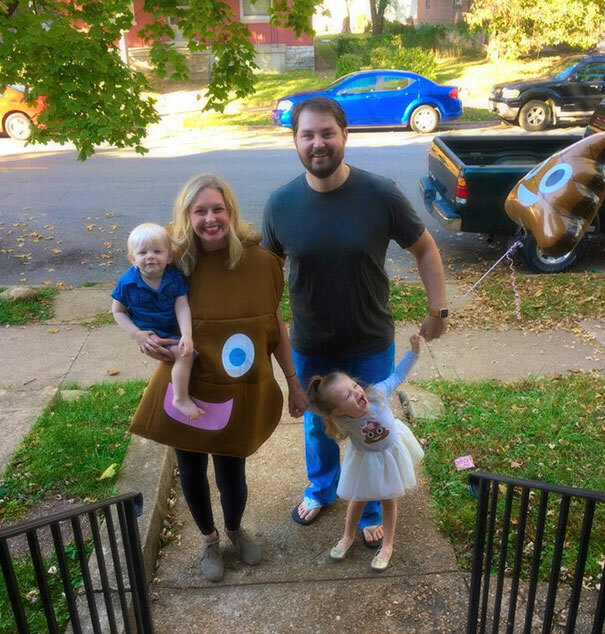 I’m gonna nominate these folks for The Parents Of The Year Award! 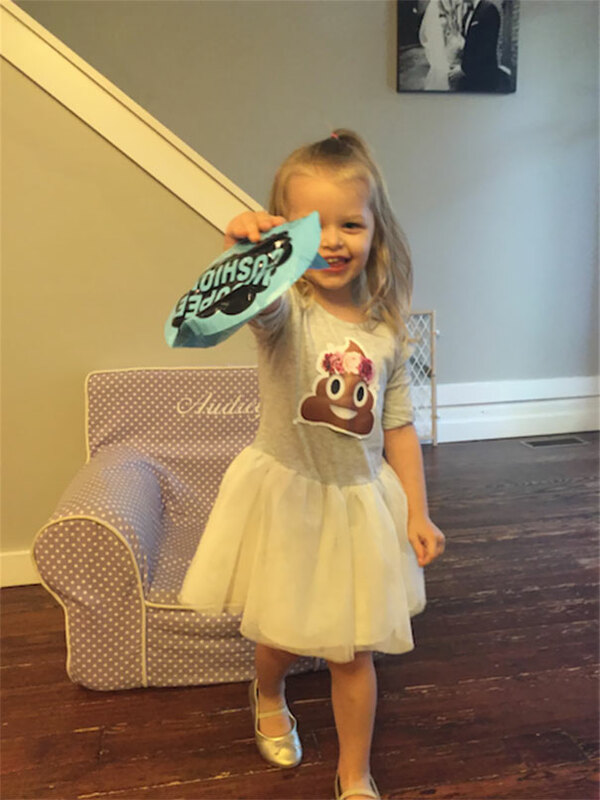 There’s actually no such thing, of course, but that’s not gonna stop me from putting their names on a little slip of paper and putting it in a hat. 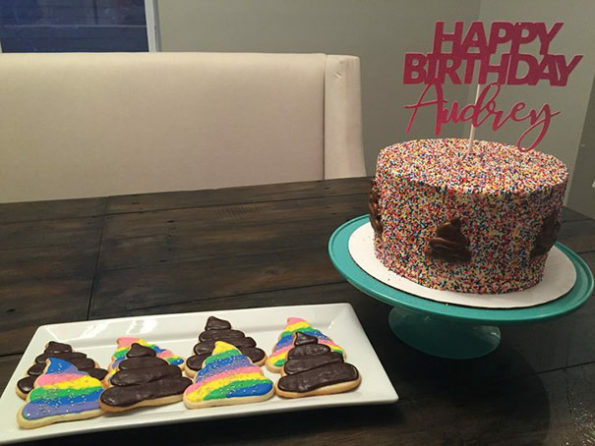 Nothing can stop me.